David Levin earned his Bachelor of Music Education degree with a minor in trumpet from The Catholic University in Washington, DC. He continued his studies there, earning a Master of Music Education degree with a minor in conducting in 1983. 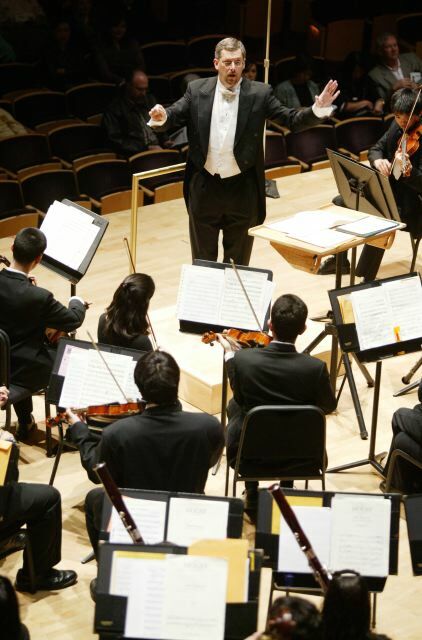 Mr. Levin began his teaching with the Montgomery County Public Schools in 1979 at Bethesda-Chevy Chase High School where his friendship developed with the Maryland Classic Youth Orchestras (MCYO), and its founder, Mr.Chester Petranek. After spending eight years at Bethesda-Chevy Chase High School, followed by five years at Seneca Valley High School, Mr. Levin took on the challenge of teaching middle school and joined the staff of Tilden Middle School. In 1998, he became the Instrumental Music Director at James Hubert Blake High School, the new signature high school for the performing arts, followed by many years as Instrumental Music Director at Winston Churchill High School. Mr. Levin’s last 2 years of his 36 year career were spent at Rosa Parks Middle School. He retired from Montgomery County Schools in the summer of 2014 and moved to Pittsburgh, Pennsylvania. Mr. Levin maintained a successful private trumpet teaching studio throughout his career as a classroom educator and conductor. His students consistently received superior ratings at Solo and Ensemble Festivals. Most of the students from his studio were accepted into district and state honors bands and orchestras. Several students were selected for the NAFME All-Eastern Band. 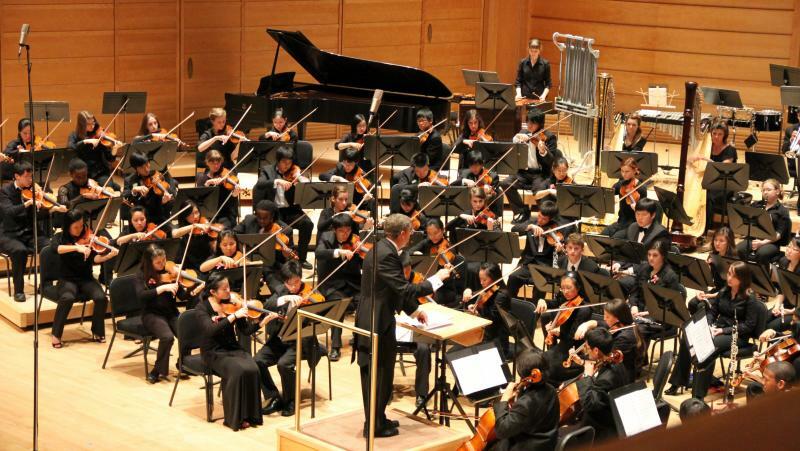 For those students desiring additional performing experiences, Mr Levin’s students were regularly admitted by audition into many of the area youth orchestras including Potomac Valley Youth Orchestra and MCYO. Several students have chosen to follow a professional career in music and were accepted to some of the leading Music Conservatories in the country. Throughout his career as conductor and educator, Levin’s wind ensembles and symphony orchestras have consistently earned praise for their exquisite display of artistry and refinement. His ensembles have earned superior ratings at competitions and festivals throughout the world. He is well known for his engaging and personable style, one which attracts and motivates musicians to perform extremely challenging music at a level “well beyond their years.” He has conducted to enthusiastic audiences throughout North America, London, Scotland, Rome, Prague, Vienna, and most recently, the Netherlands. Mr. Levin performed professionally with the M Street Brass Quintet for nearly 30 years and freelanced throughout the Washington D. C. metropolitan area where he was regularly heard performing for weddings, church services, recitals, social gatherings and more. His past performing associations include The Catholic University Orchestra, the Georgetown Symphony, and the McLean Orchestra. He has appeared with the National Philharmonic, Baltimore Symphony, and Capital Wind Symphony in recent years. Mr. Levin has also been sought out as a guest conductor for Honors Ensembles throughout Maryland and Virginia. He has adjudicated district band, orchestra, and solo festivals throughout the Washington metro area. Mr. Levin has recentlhy accepted the position of Music Education Director with the Potomac Valley Youth Orchestras. Devon spent the summer squeezing in as many trumpet programs as possible including Interlochen, Frostburg, Fredericksburg, and Duquesne Universities. What a busy young man! Jacob: After a successful year in both the Symphonic Band and the Jazz Ensemble, he was again assigned the 1st trumpet part in the Marching Band. He is currently in preparation for this year’s PMEA auditions. Congratulations Jacob, the responsibilities of being a leader are beginning to challenge you already! We welcome 2 new students to the studio this Fall. Ben and Zack are starting out strong by accepting the extra demands required of student s taking private lessons. Way to g0! !